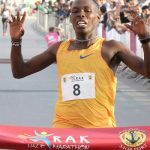 Get ready to check out two athletes with identical personal best times in the 10 km distance – Kenyan runner and winner of last year’s Mattoni Ceske Budejovice Half Marathon, Daniel Chebii and his Ethiopian rival, Mosinet Geremew (both 0:27:36). 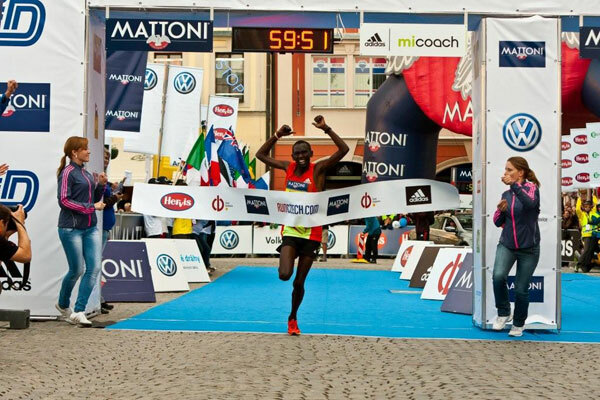 Daniel Chebii, who scooped up first place at the Mattoni České Budějovice Half Marathon last year recording a personal best with his fantastic time of 0:59:49, will be running at both the O2 Prague Grand Prix as well as at the Mattoni Ústí nad Labem Half Marathon. Together with Mosinete Geremew as well as another Kenyan runner, Kiprop Limo, they make up a trio of male stars all capable of running under 28 minutes. In terms of runners representing the Czech Republic, we can look forward to checking out performances by Milan Kocourek, Jan Kreisinger as well as Jiří Homoláč. In the Ústí race, the strong trio will also be complemented by Ondřej Fejfar – this year’s Czech winner of the Mattoni Karlovy Vary Half Marathon taking place for the first time in 2013. When it comes to the top female runners, spectators will be in for a real treat at the 10 km Saturday evening race. 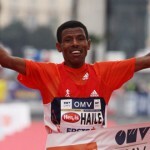 A number of great European runners as well as African long-distance runners have confirmed their participation. Standing at the helm of the women’s start list is Ethiopian competing racer, Afera Goodfay boasting a best performance time of 0:31:08. Sure to be hot on her heels however will be British runner, Gemma Steel (0:31:35) as well as Esther Chemtai from Kenya (0:31:27). We can also expect to see an interesting performance by Susan Partridge from Great Britain who picked up 10th place at the Moscow World Championships held last week – so far her best success yet. According to Coordinator of Elite Athletes Jana Moberly, we can certainly expect to see some surprises from the Czech ladies too. “Taking part in the METRO 10 km Run we have Anežka Drahotová who finished 7th place in the 20 km walking race held in Moscow. Anežka offers strong athletic promise and will certainly rank as a force to be reckoned with to both the other Czech runners as well as those from abroad,” Jana Moberly claims. When it comes to the Ústí race, we can look forward to seeing the winner of this year’s Mattoni Olomouc Half Marathon, Betelhem Moges from Ethiopia (1:10:38) defend the title. In the race she will be accompanied by athletes from Kenya, Ethiopia, Ukraine, Russia as well as the Czech Republic. Familiar faces featured at RunCzech Running League races Ivana Sekyrová, Petra Kamínková, Radka Churáňová and several others will also be taking part. The evening city race, the O2 Prague Grand Prix is being held on 7th September. The event kicks off with the adidas 5 km Women’s Run followed by the METRO 10 km Run at 19:30. “This year we’re pleased to offer runners a new single-round course which we expect will lead to exceptionally fast times,” says Race Director, Václav Skřivánek. The Mattoni Ústí nad Labem Half Marathon will be held one week later, on Sunday 15th September. The first participants to run will be those taking part in the Spolchemie 3 km Family Run which kicks off at 10:15. We can also expect a new feature to this year’s event with the introduction of the Spolchemie Handbike Half Marathon taking place directly after the family run. The sporting frenzy will culminate with the Half Marathon starting at 13:00.